Why Does My Car Need a Winter Check? During the winter, the road and weather conditions can be particularly poor. Various parts of your car can be affected during this season and therefore it’s important that you come to our centre to get a free winter check. A free winter check could potentially save you hundreds of pounds. If you do not get your car checked you may be missing out on issues that could cause irreversible damage to your vehicle. Like any service or MOT, the check is designed to keep you and your car safe. Even if you’ve not had your car that long, it is still worth getting it checked. You never know what could be wrong unless you get it checked. Make sure you get it checked well in advance before the weather gets worse. What’s Involved in a Winter Check? There are many different elements of your vehicle that we will check when you bring it for a check at Freeway. Below we have listed some of the most common areas that we check for you. Of course, there are many more things that we will also check during the process to ensure your car is able to run safely throughout the winter. Tyres: As the only part of your car that makes physical contact with the roads it is extremely important that your tyres are always in good condition. We will make sure your tyre pressure is at the right level for each of your 4 tyres and check that there are no bulges or punctures. If your tyre has any of these then it may need to be repaired or replaced. Battery: One of the most common faults in the winter is battery failure. This will stop you from being able to drive your car entirely. If you have a problem with your battery that goes undiagnosed then this can cause further problems in the future. We will test your battery to make sure that it is still working properly. If your battery needs replacing then we can offer you a battery replacement service at an affordable cost. Lights: It is illegal to drive in poor weather conditions or in the dark without working lights. We will check the various different lights on your car including the headlights, brake lights, reverse light and your indicators to ensure they are working. Especially when visibility is reduced, you need to ensure that you can see other drivers and that they can see you as well. Engine Coolant: Engine coolant is a mixture of both antifreeze and water. 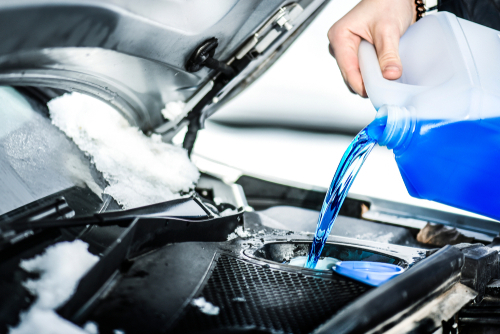 It ensures that the water in your vehicle’s radiator system does not freeze or boil. This also helps the engines daily running and prevents any build-up of excess heat. Oil & Filters: We will also do a general oil and filter change. There are several filters that are changed which enables several different parts of the car to run properly. You should get your oil and filters changed every few months. Visit our garage to find out more about what we can do for you and your car. Get Your Check at Freeway Today! At Freeway Exhaust & Tyre Centre we are dedicated to providing customers with useful solutions for their cars. We offer free winter checks throughout the season so that you never have to worry about your car breaking down. If you are based in Tunbridge Wells and need a reliable garage to have a look at your car, look no further than Freeway. To book in your free winter check please call us today on 01892 520022 and we will book you in at a time that suits you!